Note: Before commenting on any posts please make sure you either watch or read each post in it’s entirety. Thank you for visiting Rapture Bible Prophecy Forum! Please add us to your favorites! Please LIKE our Facebook page! Facebook is growing daily! I post a lot of different articles, videos and commentaries in order to encourage, edify and exhort you to read your own bible and pray for the Holy Spirit to teach you all things. Pray that you are not deceived in these last days as many will follow false doctrines. Already-Happened reports that Israel has increased its troops at the border of Qunaitra in the Golan as tensions rise with the Druze Community. The Druze's were waiving Syrian flags and carrying pictures of President Assad. Did Netanyhu inflame the situation with his National state Law making Israel a state for Jews only. Please click on the url for the youtube link. On our site the youtube videos it seems has been disabled from working properly. The link seems to still work at this time. And in that day will I make Jerusalem a burdensome stone for all people; And it shall come to pass in that day, that I will seek to destroy all the nations that come against Jerusalem. 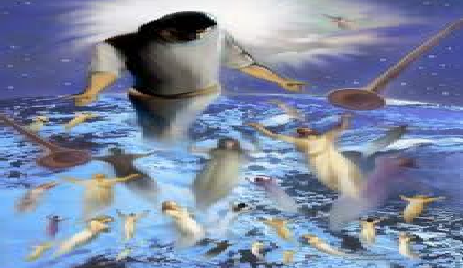 Disclaimer: Rapture Bible Prophecy Forum, ( http://www.rapturebibleprophecyforum.com ) does not necessarily endorse or agree with every opinion expressed in every article posted on this site. We do however, encourage a healthy and friendly debate on the issues of our day. Whether you agree or disagree, we encourage you to post your feedback by using the reply button.